All measurements made on this blog are made with the UltraSmartCharger designed and made by Paul Allen. We're using this device for our analysis. We use it to approximate the battery internal resistance and to discharge them at a constant rate of 400mA (which is fairly high). The lower the internal resistance the better (as the battery will handle higher loads better). The whole discharging process is stored in a log file on the SDcard and stops when the battery reaches 0.9V. We then retreive the logfile, analyse it and store it in our database. I'm not going to go over all the interesting features of this charger/dischargers (I however recommend you go through its website for more info). The market is flooded with lots of chargers and for our test, we only want to make sure our batteries are properly and evenly charged. For this reason, we're using the Tensai TI-1600L. 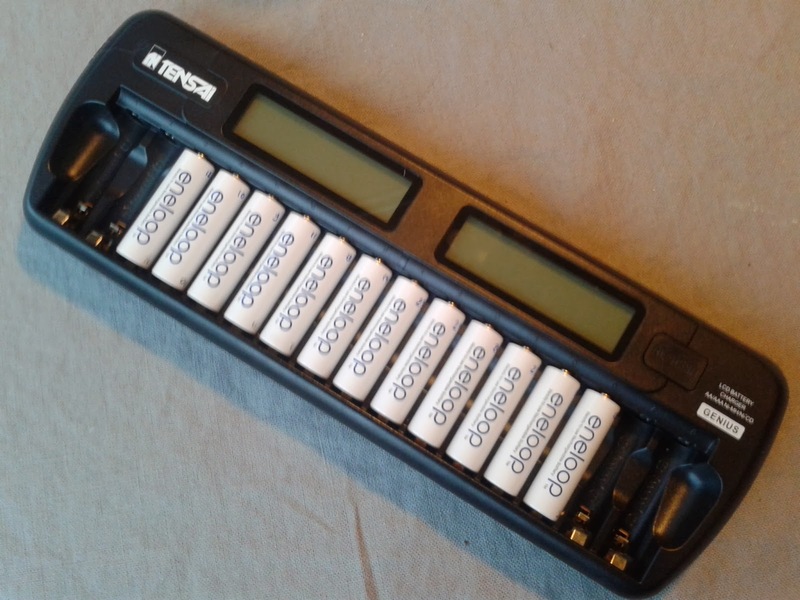 It can be used to charge up to 16 batteries (12-batteries and 8-batteries versions also exist), is dead simple to use, uses the best charging techniques (both voltage and temperature delta). 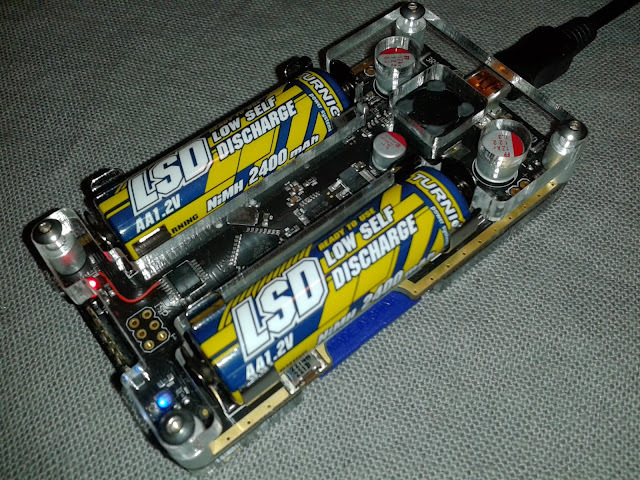 The point here is to have all batteries charged the same way with the same microcontroller to have the same chances at the discharge test above.